Toothbrushes: the left is New while the right one is old. 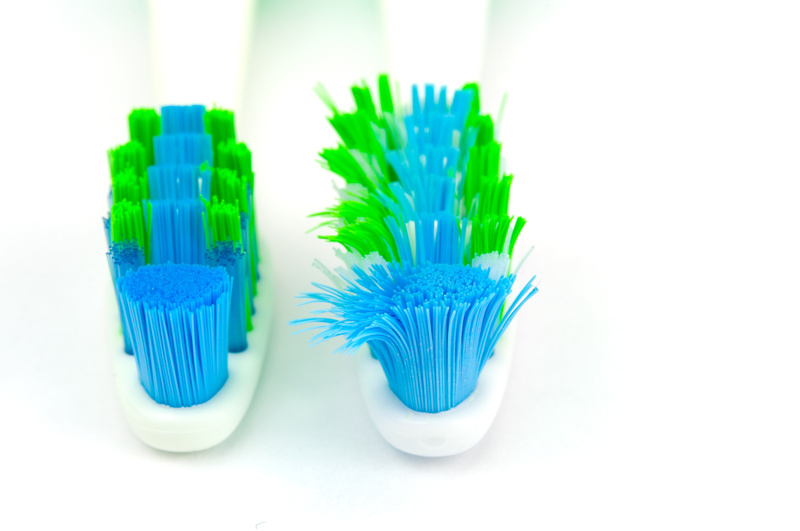 Take advantage of the start of the new school year with introducing a new toothbrush that was used in summer, remember a toothbrush is good for up to 3 months or until the bristles are bent. Make breakfast a healthy snack and avoid sticky sweets! Make it a habit to visit your dentist for a check-up every 6 months to ensure any small problems are resolved early.